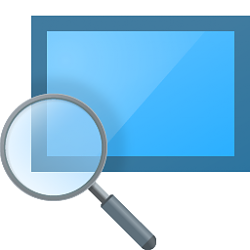 Magnifier is a tool that enlarges part—or all—of your screen so you can see words and images better. It comes with a few different settings, so use it the way that suits you best. This tutorial will show you how to turn on or off to start Magnifier automatically at login for your account in Windows 10. 1. Open Settings, and click/tap on the Ease of Access icon. Builds older than Windows 10 build 16184 will have a Start Magnifier automatically setting to turn on or off instead. The .reg files below will modify the string value in the registry key below. 6. If prompted, click on Run, OK (UAC), Yes, and OK to approve the merge.